The Conference Championship weekend was a huge success for sportsbooks, as they were able to win big as the Denver Broncos took down favorites to win, New England Patriots 20-18. It was an intense game, with the fourth quarter having a lot of excitement, but in the end, the Denver defense was able to keep Tom Brady from scoring. 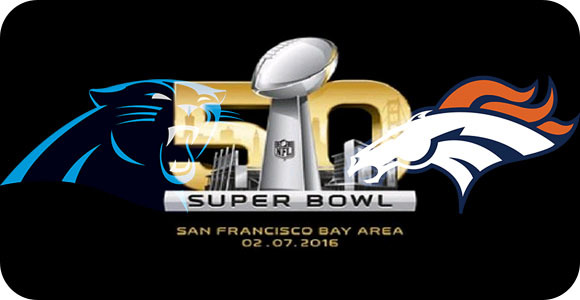 The Carolina Panthers played an impressive game, beating the Arizona Cardinals 49-15; making the Super Bowl 50 a match between the Broncos and Panthers. The fan turnout to most Las Vegas casinos was big, as fans from these four teams came out to watch the game and place a few bets. With the first game of the weekend being the most wagered upon, as the majority of bets placed were on the Patriots. According to the Westgate Superbook, roughly six out of every seven wagers placed on the AFC Championship game were on the Patriots. This meant, as Jay Kornegay, vice president of race and sports operations at the Westgate put it, “Majority of the tickets and majority of the money came in on New England. The books really needed the Broncos in the first game.” On the side of things, the NFC Championship game was divided, as fans from both teams believed theirs would be the winner. The Panthers were small favorites to win, as most believed it would be a close match, but it turned out to be a one-sided affair with their impressive 49-15 victory; they more than covered the 3-point spread. The odds at most books, online and at casinos, have been set with two weeks until the start of the final NFL game of the season. Now that the two teams going to the Super Bowl have been decided, sportsbooks expect thousands of fans to arrive for that weekend, as the game is set to kick-off at 3:30 p.m. on Feb. 7.